The Divine Physician, Christ Jesus, heals the wounds inflected by sin. Christ showers His healing mercy not on the self-righteous, but those who seek forgiveness. He measures His mercy with the measure that we measure. The merciful receive mercy, the merciless, none. With the mercy and gentleness that Christ healed our wounds, we can approach our neighbor, as Christ taught — first take the log out of your own eye, and then you will see clearly to take the speck out of your brother’s eye (Matthew 7:3-5), for all called to bring Christ to those we encounter. 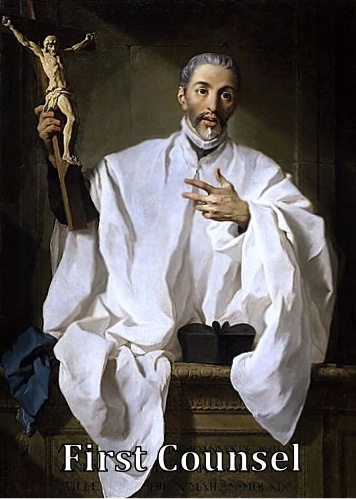 This entry was posted in Essays, Uncategorized and tagged Catholic, Catholicism, Christian., Christianity, First Counsel, Log Out of Your Own Eye, Matthew 7:3-5), mercy, sin, Speck Out of Your Brother’s Eye, St. John of Avila, Ten Counsels to Lead the Soul in the Way of Salvation, Wounds Inflected by Sin. Bookmark the permalink. There’s the verse I have been looking for. Have a blessed Sunday and thank you for the post.